Shopping for Cthulhu Vinyl Figures? 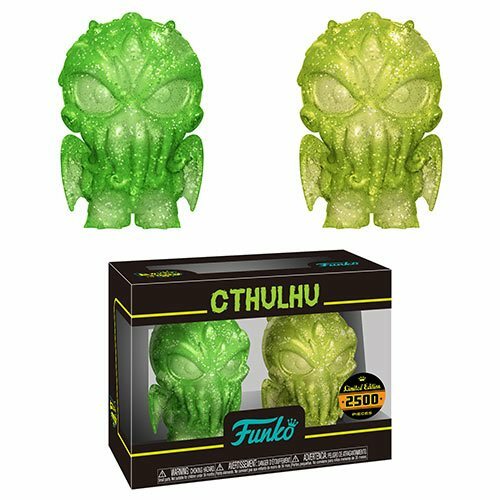 Cthulhu joins Funko's line of stylized mini hikari figures! This Cthulhu Green and Yellow Hikari XS Vinyl Figure 2-Pack features the dark one in green and yellow glittery deco variations. Standing approximately 4-inches tall and limited to only 2,500 pieces worldwide, Cthulhu comes in a collection-friendly window packaging. Ages 3 and up.